When you find out you have bed bugs, one of the best things you should do is place your whole mattress and box spring in a mattress encasement, also known as a mattress bed bug protection cover. 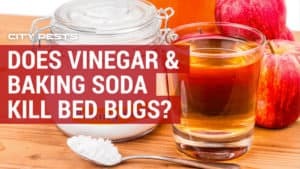 This helps cut down on bed bug bites before you can start cleaning and treating your home. When a bed bug is trapped in the cover, it eventually starves to death. These covers or encasements are made of vinyl, cloth, plastic or a combination of these materials. How long can bed bugs live in a plastic bag? Bed bugs can live up to one year without eating before they starve to death. For this reason, experts at the EPA recommend that mattresses or other sleeping areas encased in covers stay on for at least one year, even after the home has been professionally treated. Suffocating bed bugs with plastic bags is difficult at best. How do plastic bags or covers kill bed bugs? Bed bugs are like other living things in that it needs oxygen to breathe and enough food to eat in order to stay alive. Plastic bags kill people and most bugs quickly because the air rapidly runs out. Bed bugs are small and therefore do not need as much air. 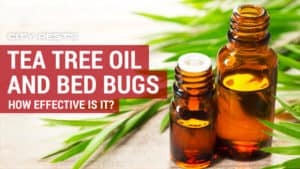 Therefore, it is possible that enough air could be trapped in a plastic, vinyl or another kind of bag or encasement to keep the bed bug alive for days, weeks or months. There certainly are a lot of different speculations as to how mattress encasements or plastic bags kill bed bugs. The general consensus seems to be that bed bugs eventually starve to death before they die of suffocation. Bed bugs need blood to eat. They eat nothing else. Baby bed bugs, called larvae, need a blood meal before they can shed their old bodies and become adults. Adults need blood not only to live but to breed. So, cutting off a bed bug from its blood supply is a good thing. Plastic bags are often recommended tools for doing just that. 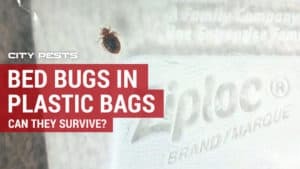 Bags not only help starve bed bugs but also can be used in other ways to kill bed bugs, such as placing your dry-cleanable clothes in zippered dry-cleaning bags. 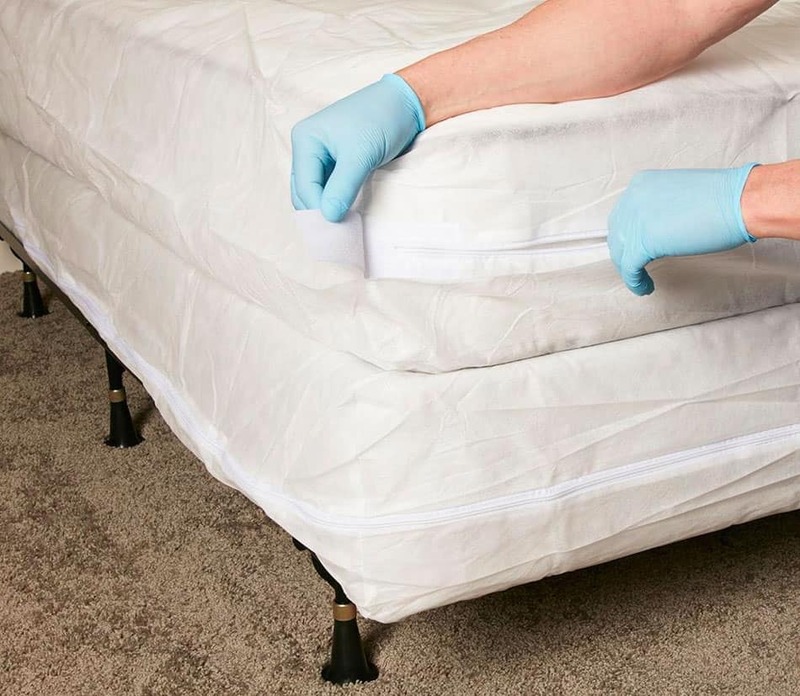 Use a mattress encasement to starve and eventually kill bed bugs. Does putting clothes in bags kill bed bugs? The dry-cleaning bags themselves do not kill the bed bugs. The bags trap the bed bugs and prevent them from escaping when things get too hot or too cold. It’s the heat from dry cleaning that kills the bed bugs. What if your clothes do not need to be dry cleaned? Bed bugs can be killed by regular washing machines and clothes driers, too. Unfortunately, bed bugs hide in many places other than clothes or bedding. They can hide in seams or stitching of stuffed animals, or in the cracks in a picture frame or even the tiny slots in a digital clock. By placing these items in a plastic bag and then placing them in a freezer, bed bugs hiding in the items will die from the cold. According to the University of Minnesota, you need to keep the items freezer for four days at 0 degrees F or lower to be sure of killing all the bed bugs. 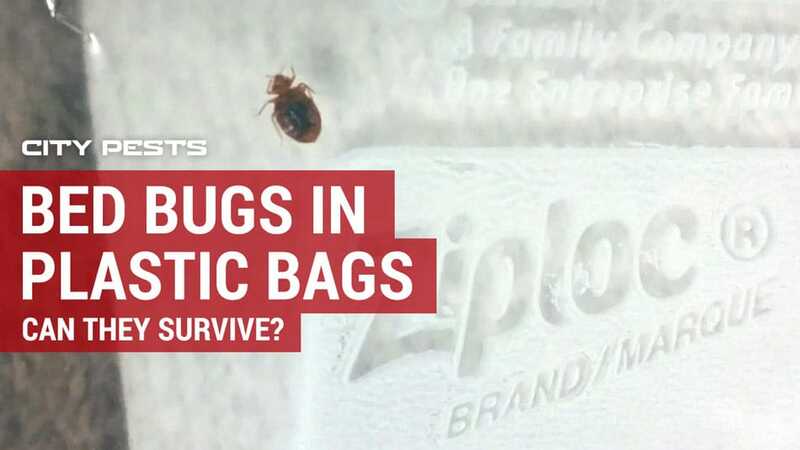 Can putting your items in a plastic bag in the sun kill bed bugs? It’s amazing the things people will try to kill bed bugs rather than hire an exterminator. There is an urban myth (also found on many Internet sites) that just sticking clothes, bedding and luggage in a black plastic garbage bag and leaving them in the sun for a few days will solve your problem. Why? For the simple reason that you cannot place your entire home in a black trash bag. Although there are plenty of things you can do to kill bed bugs before the exterminator arrives, sticking your bed buggy stuff in a plastic bag and letting it sit in the sun for a few days will not do it. Yes, extreme heat will kill bed bugs. However, the heat generated in a plastic bag in the sunshine in even the height of summer will not be 100 percent effective or even as effective as a vacuum cleaner or a clothes washer. According to the Environmental Protection Agency, prolonged heat of over 80 degrees F in a sealed black plastic bag will kill some bed bugs. Unfortunately, you cannot fit your entire home in a black plastic trash bag. However, consider this a “better than nothing” approach to killing bed bugs and will not completely eliminate them from your home. The bed bugs inside the bags may die but the bed bugs living outside of the bags will definitely live. Can bed bugs get out of plastic bags? Bed bugs can get out plastic bags or even mattress encasements if there are any kinds of holes in the bag. Since bed bugs are basically flat, it does not take a big hole for them to get out of. Check your bags carefully for any kind of rip or tear. If there is one, replace it or place the whole bag of stuff (and bed bugs) into a new bag without holes and seal it up. 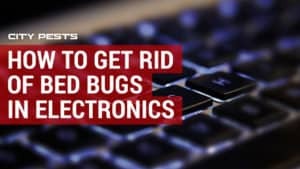 Bed bug bites are annoying and itchy which makes it logical to think that bed bug teeth can easily chew its way out of a plastic or vinyl bag. However, bed bug teeth are much weaker than, say, a termite’s teeth. Termites can chew through tree bark or drywall so plastic is nothing to them. Fortunately, bed bug teeth cannot do this. The teeth only need to break skin, not thick layers of man-made plastic. A word of warning for those folks who need to place bed bug-ridden stuff in trash bags in their locked cars for safety reasons: There is a slim chance that the bugs could survive and so infest your car. When you treat your home for bed bugs, be sure to treat your car or other vehicles as well. Related Question: How hot does it need to be to kill bed bugs? It does need to be very hot to kill bed bugs. In fact, the heat needs to be so high that it could also kill you, your family and your pets. Usually, anywhere over 100 degrees F will kill adult bed bugs and larvae. 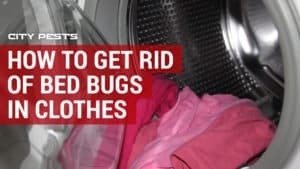 If you are cleaning your laundry, bedding and other items suspected of being filled with bed bugs, use the hottest temperature setting you can get on your clothes washer and drier. The magic number seems to be 118 degrees F, according to Virginia Tech’s acclaimed entomologist, Dini M. Miller. The EPA also recommends steam cleaning as a way to kill bed bugs in baseboards, bed frames, furniture and (of course) carpets. They state that the steam cleaner needs to be set at least 130 degrees F. Since this is so hot, you need to be very careful using the steam cleaner. Either wet or dry steam cleaners can be used. The EPA cautions that an air diffuser function on the steam cleaner never be used because this could accidentally toss the bugs in all sorts of directions and away from the lethal heat. Heat treatments can be used to kill bed bugs in entire rooms and homes that can bake the areas in temperatures of 120 degrees F or more. Because this heat is so dangerous, use of it is best left to professionals. How long does it take for bed bugs to die from heat? It’s not just reaching the magic temperature that kills bed bugs but the prolonged exposure to it. For example, one load of hot laundry is usually enough to kill bed bugs not only from the heat and the rough ride they get but because a load lasts a half hour or an hour, depending on the size of the load and the size of the machine. Steam cleaning is effective, but you need to take your time doing it in order to be sure the bed bugs are killed. Entomologist Dini M. Miller suggests that you should never go faster than one foot per 30 seconds (or two feet a minute) so that enough heat lasts long enough to kill the bed bugs. The good news is that lower temperatures can kill bed bug adults and larvae if they are exposed long enough to them. That is why black plastic bags need days in the sun and not just an hour or two. Miller explains that temperatures as low as 113 degrees F kills bed bugs if they are stuck in that temperature for at least 90 minutes at a stretch. 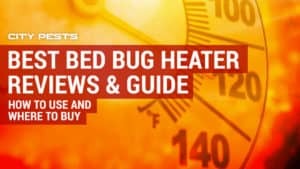 Recommended: See bed bug heat treatment products (Amazon). Can bed bugs live in vacuum sealed plastic bags? Bed bugs, like people, need to breathe oxygen in order to live. Without oxygen, they will die. However, they need very little oxygen in comparison to a human being. Just how long they take to suffocate is not well known. Besides, you cannot place your whole home in a vacuum-sealed bag. There have been studies about high concentrations of carbon dioxide (CO2) to kill bed bugs. Dry ice gives off the right amount of carbon dioxide. Anecdotal evidence suggests that placing bed bug ridden items and dry ice in plastic bags can kill them. However, using dry ice is very dangerous to you and not just to bed bugs. Dry ice can quickly burn you and cause breathing problems. Let the scientists fool with it – not you. Killing bed bugs with CO2 is a slower process than with heat. 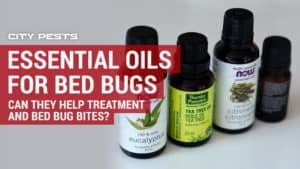 One study from 2012 published in the Journal of Medical Entomology noted that it took about at least 8 hours to kill 100 percent of adult bed bugs and only some of the larvae. As always, bed bugs eggs survived. Perhaps one day there will be CO2 and plastic bag treatments for whole rooms or homes but that day is long in the future. Putting infested items in vacuum storage bags won’t be enough to kill bed bugs. How else can plastic bags be used to fight bed bugs? Sealable plastic bags (without any tears or rips, of course) can be used to not only trap bed bugs inside and starve, suffocate, freeze or fry them to death. They also can be used to keep freshly de-bugged items from getting infested again. It’s not enough just to put whatever you can of your home through the laundry or freezer or subject it vacuuming or steam-cleaning. 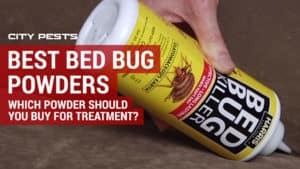 You need to place the cleaned items inside a bag or any bed bug that survived treatment will find a way into your things, hide there, breed and start your bed bug nightmare all over again. Bed bugs eggs are the most likely culprits to keep a bed bug infestation going. They can survive even pesticide treatments. In six to ten days after being laid, they hatch and everywhere gets infested again. This is why professional exterminators usually insist on two treatments for your home – to kill the larvae from any eggs that survived the first treatment. Plastic bags help keep your food and prescription drugs safe from pesticides when the exterminator is here. Keeping your stuff in the bags makes it easier to move about when the exterminator arrives. He or she will need to get the pesticide into all bed bug hiding places, so the fewer items in the way, the better. So, how long do bed bugs live in a plastic bag? Bed bugs can live in a plastic bag for a much longer time than you can. If the bag is not sealed or air-tight or has any kind of rips, then the bed bugs can live out their normal life spans because they will find their way out of the bag. How long bed bugs live in plastic bags depends on if the bag is vacuum sealed or if the bag is placed in the freezer or subjected to extreme heat. It takes about four days in the freezer to kill all of the bed bug adults and larvae and at least 90 minutes of continuous exposure at temperatures of at least 113 degrees F to kill bed bug larvae and adults. Bed bugs eggs are another matter. They can survive plastic bags to hatch and bug you for a long time to come. Plastic bags are not the magic bullet for killing bed bugs, but they are effective weapons in the fight against these creepy critters. Bed bugs are tough but not indestructible.